To improve battery life on android P 9.0, you can use adaptive brightness and adaptive battery in your devices. This android Pie adaptive battery feature is helpful to limiting battery usage by apps background activity. By default enable adaptive battery in android P devices. Let see how to use adaptive battery in android P 9.0. It’ll automatically restricted apps have been using battery in background. This android P restricted apps may not work properly and notifications may be delayed. One of the best features to extend battery life in android Pie 9.0. 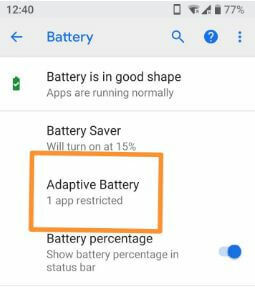 Let see complete guide to enable and use adaptive battery in android P 9.0. You can enable/disable adaptive battery in android 9.0 Pie devices using battery settings. 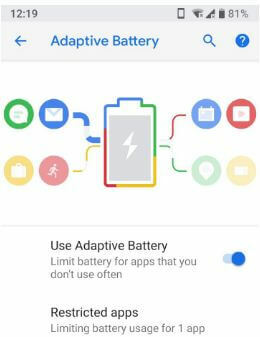 By default activate adaptive battery in your android Pie 9.0 devices. Here you can see list of apps that consuming more battery in the background. Also turn on battery saver in android P 9.0 to improve battery life. This android P battery saver feature will disable some of the features and restricted apps. Let see other useful android Pie battery settings. 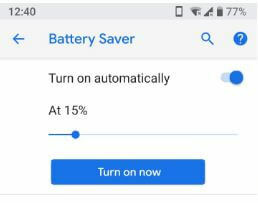 By default turn on automatically battery saver while you’re android P device battery is 15% or lower. 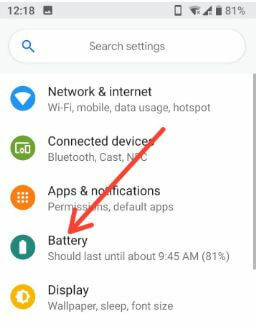 You can individually set Battery percentage for automatically enable batter saver in android 9.0 Pie. 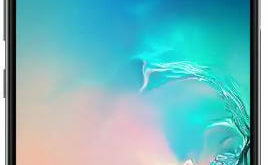 By default show battery percentage in status bar in android Pie 9.0 device. And that’s all. We hope this makes it clear how to enable and use adaptive battery in android P 9.0. If you have any trouble, tell us in below comment box. Stay and connect with us for latest android P tips and tricks.